One of the best charter bus providers in Raleigh. Our rates are comparitively cheap. Call us today to get the best rate for Deluxe Motor Coach, Mini Bus, School Bus, Party Bus, Limousines, Van and more... for any of your charter bus events. 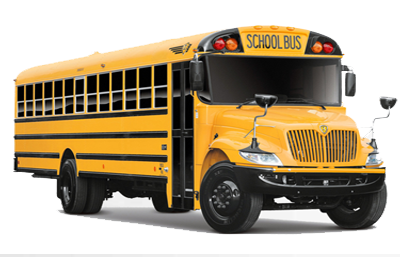 Prompt Charters is the leading and # 1 charter bus rental company in Raleigh, NC. As the premier charter bus company with the largest fleet in tow, we manage transportation for events such as weddings, corporate events, church trips and school field trips. Our buses offer ultimate luxury and comfort. Added features in the bus such as wifi, power outlets let you work on your jobs and keep you connected to the world. We offer charter services withiin the city, out of state and also to other cities such as Charlotte, Atlanta, Washington DC and Philadelphia. 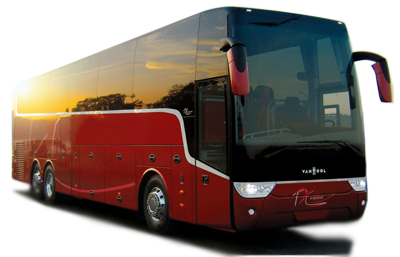 Taking a Raleigh Charter Bus Rental will make your planned event go smooth and success. Plan anything in the Raleigh area from a Corporate or Group Travel, Sightseeing Tour or Professional Sports, Religious Convention or Bachelor or ette Party, or Wedding or Convention, or Trade Show, and School Field Trip or Political Campaign. Its in Raleigh, you will find trendy restaurants on tree-lined streets, a great culture with Southern charm, and bustling nightspots. Enjoy everything Raleigh offers you without any hassles. The Raleigh area hotels and accommodations are designed to help you rest easy. From luxurious, full-service hotels to romantic bed-and-breakfast inns, you can relax in the certainty that your preference, budget and expectations will be met. The Raleigh restaurants will cool your appetite with some Carolina favorites. Sweet tea, mouth-watering barbecue, home-style vegetables, international dishes, all brought to you with warm Southern service with Raleigh dining. Choose the right restaurant for the kind of experience you would prefer. The shopping in the Raleigh area is fabulous with great choices. You can also enjoy spectacular shopping in any part of the city. The great attractions of Raleigh City are combined with affordability and approachability with the appeal of a classic Southern town. Best known for its world-class museums, best of Broadway shows and live concerts, Capital area historic sites, professional and amateur sporting events and shopping, Raleigh area attractions and entertainment truly offers a variety of entertainment all in one park-like, scenic setting. Visit Raleigh’s major attractions like Marbles Kids Museum, Museum of Natural Sciences, Mordecai Historic Park, State Capitol, North Carolina Museum of Art, North Carolina Museum of History, Pullen Park, Lake Johnson Park, Executive Mansion, Lake Wheeler, Historic Oakwood, City Market, State Farmers Market, North Carolina Birding Trail, Hedingham Golf Club, J.C. Raulston Arboretum, Adventure Landing, and Wil-Mar Golf Club, and more. Get quotes for the type of vehicle you need for the kind of occasion you choose to do in Raleigh. Choose any from our Charter Buses and Motor Coaches, Mini Buses and School Buses, Tour Buses and Party Buses, Luxury Entertainers and Limousines, Limo Buses or SUVs, and Sedans and Vans. Make preferences according to your choice in budget, and other priorities. Make avail our service also during emergencies and airport transportation. Enjoy the trip with us free from every cares. Finding a reliable transportation service provider is always a challenge for corporations and for private individuals in raleigh. Ranked as the premier leader in ground transportation services in United States and Canada over last 25 years my many credible agencies, Prompt Charters provides all types of ground transportation services such as mini bus, coach bus, charter bus, school bus and executive charter bus rental in Raleigh. If you need a charter bus for hire please contact us. We guarantee the best possible charter bus rates. Our charter booking process is simple and our staff are easy to work with. Over the years we were able to build the trust of thousands of our customers. Ninety per cent of our business is repeat customers.